It's What I Ate Wednesday and I decided to switch it up a bit today! Usually, I document a day and show you what I had that day, but today I am going to show you some of my Go To foods! For those of you who are new to my blog, I am on a weight loss journey and currently doing Weight Watchers, which I love! Last week when I did my Weekly Weigh in, I got some questions about what I eat during the day. Today, I am going to show you what I am choosing most of the time for breakfast, lunch and snacks! Ninety percent of the time at breakfast I am choosing eggs. I love an egg in the morning, but often feel like it takes too long to make it. Lately, I have been making an open faced egg sandwich and it is super quick. I use the small frying pan to cook one egg. I toast one piece of bread and put a slice of cheese on the egg right before I take it off the stove to melt it. Put it all together! It only takes 5 minutes, put some fruit on the side and you have a well rounded, low point (5PP) breakfast! You could choose, light cheese and light toast and you could make it even lower points, but I use what I buy for the everyone else in the house! For lunch I will often have a sandwich. I enjoy a sandwich and the sides that go with it. I can put soup, veggies, fruit and/or chips with my sandwich and it is the perfect lunch! Most of the time I make a wrap. I use the Tumaro's low carb veggie wraps. These are low in points (2PP) and really good! Instead of sliced cheese I use laughing cow. These come in a few different flavors, are creamy like a spread and I feel they add more taste value than a slice of cheese with less points (1PP). I add whatever I have on hand for veggies to my wrap, lettuce, tomatoes, cucumbers, etc. Whenever I make a wrap/sandwich, I always have chips on the side. Special K cracker chips are my favorite go to convenience food! They are low in points (25-28 chips for 3PP) and they are so flavorful. I don't know about any of you, but I need crunch with my lunch and sometimes a carrot stick just isn't going to cut it, these are perfect! I eat a lot of the same snacks all the time. When I don't feel like making anything I will almost always reach for either a string cheese (1PP), or a Yoplait yogurt. I love the Boston Creme (2PP) flavor, but there are a few others that are really good. They show the Weight Watchers points right on them now, you can't get more convenient than that! When I feel like putting a bit more effort into my snack, I reach for fruit and peanut butter or cookie butter. I was late to the cookie butter party, I think, but I am so glad it has come into my life. If you haven't tried it, you should head to Trader Joe's right now and pick some up! I slice up an apple or a banana and take melted peanut butter or cookie butter and drizzle it over the fruit. I can't take credit for this tip, I found Drizzle Me Skinny and she is queen of the drizzle and I am telling you, she is genius! You can take very little peanut/cookie butter, melt it for 30 seconds and drizzle on your fruit and every bite has a bit of the yummy flavor in it! This is perfect for Weight Watchers because you can get away with only using 1 TBSP or less of your peanut/cookie butter for 1-3PP and you get enough to cover all your fruit! Genius I tell you! You can adjust the amounts of the butters and chocolate chips and easily decrease the points value depending on what you have left for the day! 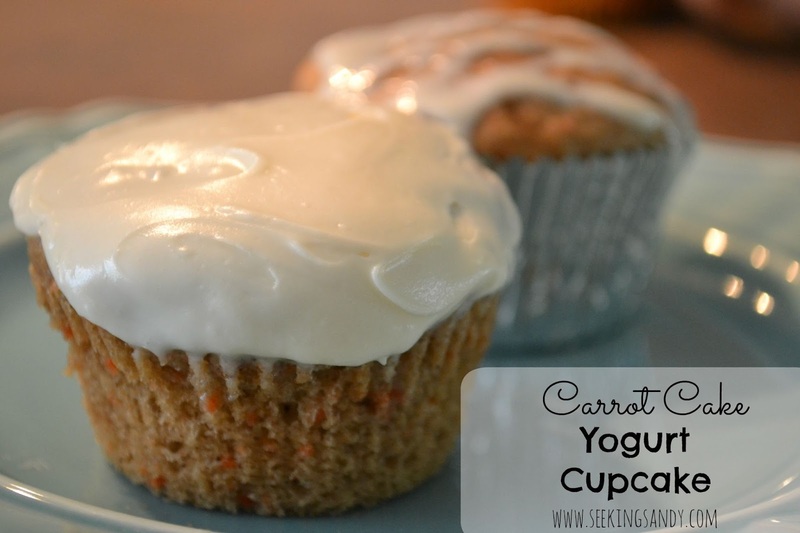 If you are looking for something a little sweeter, you should definitely try my new Carrot Cake Yogurt cupcakes with Cream cheese frosting. These are delicious, sweet and the perfect fall dessert! They are only 4PP and totally worth it! I will be making these again really soon! You can find all of my recipes here, or you can check out my Weight Watchers Pinterest board where you will find all of my recipes, plus some others that I want to try! 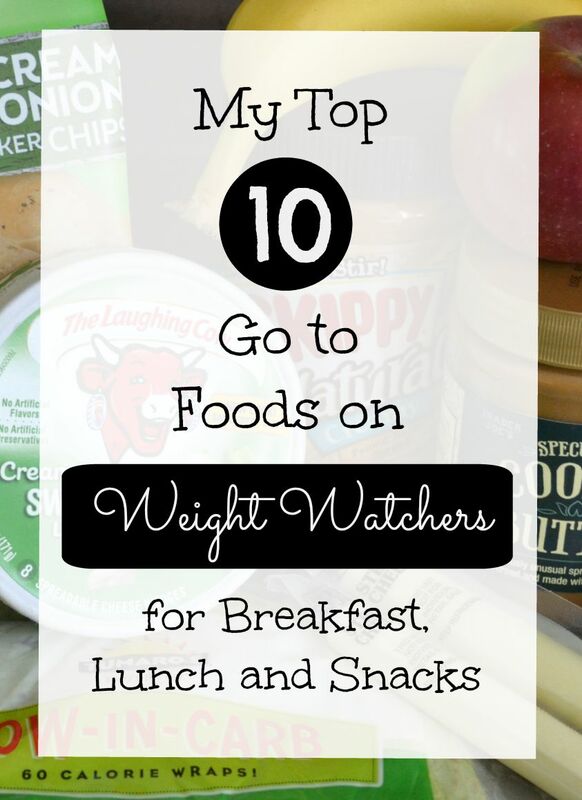 Follow Sandy Litcher's board Weight watchers on Pinterest. I hope this was helpful! Feel free to ask me any questions and I will try to answer them as best I can! Thanks for sharing! I have done WW in the past and am trying to lose the last bit of baby weight by following serving sizes and being mindful of what I put in my body - all the things WW teaches you. I love seeing WW-friendly snack and meal ideas! I love this post! Sometimes, trying to get back on track with health and fitness seems so daunting. You just made me feel a lot better about it though. These choices are super easy…and yummy. 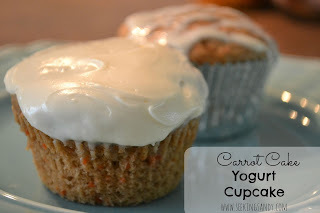 Love the yogurt cupcake idea!!! I've had friends and family members go on WW in the past, and they've loved it! I think it's great that you get so many great foods without feeling like you're starving! I must try those cupcakes!!! Thanks for sharing! I love Weight Watchers! This is such a handy guide! Just found your blog through pinterest and looking up "carb cycling". Why did you switch to weight watchers? Did the carb cycling not work for you? It was working when I did it exactly and that was hard for me. I felt it was a lot to think about, keeping track of the days and pretty restrictive as to the foods that I usually enjoy. Weight Watchers allows me to eat a lightened up version of things I enjoy and still lose weight. I think it is a great program and would consider going back to it if I hit a plateau with weight watchers for a cycle, but for now WW is working for me! Thanks for asking! Good luck with what you decide!